Health Canada insists the risk is very small, and that only five cases have been confirmed in the last 10 years. But CTV News has learned there have actually been many more women affected -- nearly two dozen and possibly more -- and that doctors may be missing some of the signs. It’s not a breast cancer, but a type of lymphoma that develops in a capsule of tissue and fluid that forms around the implant. It’s typically slow-growing; in this latest study, the cancer developed a median of 13 years after implant surgery. It’s not clear what causes this form of cancer. Some suspect it develops as an immune response to the implant. Overall, it’s rare, accounting for only about only one to two per cent of all cases of non-Hodgkin lymphoma. In November, Health Canada issued an alert about BIA-ALCL, noting it occurs more frequently with implants with textured surfaces compared to those with smooth surfaces. They also noted that breast implant manufacturers have reported only five confirmed cases of the cancer in Canada in the last 10 years. But Canadian plastic surgeons have simultaneously been collecting their own numbers on women who are being diagnosed with this form of cancer. They say they have received reports of at least 23 cases of BIA-ALCL and expect there are likely more. “Sandie,” who asked CTV News not to identify her, is a physician who didn’t know about the condition, until she herself was diagnosed with breast implant-related cancer last year. Sandie initially had implants put in in 2010 after breast cancer surgery in 2009. But last year, she started having symptoms. She was shocked when doctors diagnosed her with BIA-ALCL. Sandie had the implants removed and replaced and is now cancer free. Researchers suggest BIA-ALCL increases the longer the implants remain in place. Textured-surface implants, which are most linked to cases of cancer, reached their peak of popularity about 10 years ago before dropping off, so there are still many women who have them who may be unaware of this small but important risk. Lennox and other plastic surgeons worry that cases of BIA-ALCL are being missed because the disease’s symptoms, such as sudden breast swelling and pain, often don’t appear for years after implant surgery. 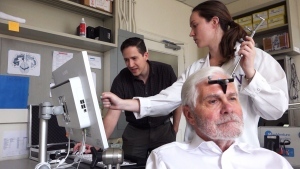 “There is a risk of (BIA-ALCL) being underdiagnosed or misdiagnosed across the country because patients or physicians may not be aware of the presenting signs and symptoms,” he said. The good news is that, when caught early, the disease is treatable with surgery to remove the implant and the tissue around it. 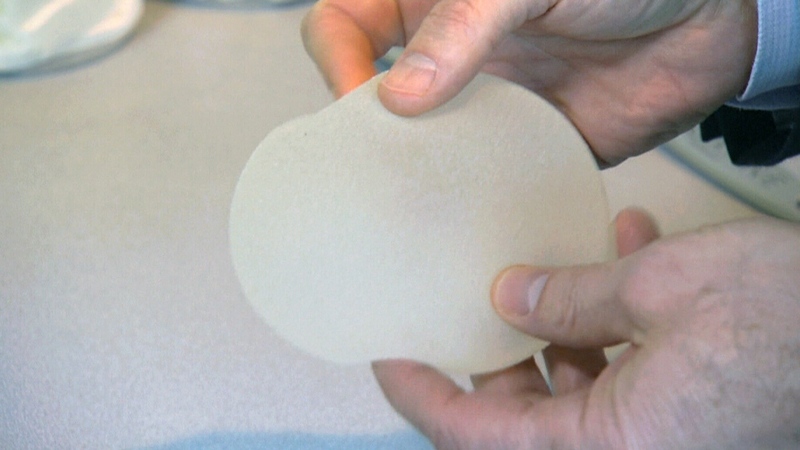 Health Canada officials say they continue to work with implant makers to update safety information for all breast implants. Dr. Lennox and Dr. Mitchell Brown, who track all of the cases for the Canadian Society of Plastic Surgery, are working with Health Canada to make sure the society and government authorities are all in agreement.